So yeah, this was pretty much us after hearing production on the Man of Steel sequel has been delayed and the film will now be released on May 6, 2016. That is a full TWO. YEARS. FROM. MAY. Read the full press release. After we recovered from the sudden announcement (it's not like we have a choice), we decided to look at the positives of the still developing story. This tweet from Warner Bros. producer Daniel Alter eased our anxiety over the delay. He is not involved with the project, but as you can imagine, he does hear things. Everyone needs to calm down. #BatmanVsSuperman was a reaction to various factors . Now it's evolving beyond that. New developments.. So let's look at what it means for Henry, now that Man of Steel 2 has been pushed back. First off, more prep time for Superman in the gym. And that can't be a bad thing right? Most importantly we'll also probably get a better film, with all parties involved coming together "to realize the vision" Warner Bros. mentioned when breaking the news. Variety reports casting is still going on for Batman vs. Superman. And while The Hollywood Reporter insists Jason Momoa remains in the mix, he just told MTV that's simply not the case. We also saw some of the reaction on twitter, where fans are slowly embracing the reality of a May, 2016 release. http://www.dailymail.co.uk/tvshowbiz/article-2541706/Henry-Cavill-Ben-Afflecks-superhero-showdown-delayed-Batman-vs-Superman-release-date-delayed-ten-months.html … I'm actually okay with this. I'd rather they take their time and get it right than rush it and get it wrong. Now to the tentative silver linings. When Henry wrapped The Man from U.N.C.L.E. last November, word was that the film would be released at the end of this year. We're still hoping that's the case, but with a production delay on the Man of Steel sequel, we are wondering how/if that could affect the release/promo plan for U.N.C.L.E. - Guess we'll just have to wait for official word. The other exciting possibility, is that barring rumored back-to-back filming plans with Batman vs. Superman & the Justice League, Henry might have some free time next year to potentially take on other projects. No matter what happens we know the wait will be worth it, because after all.. this is Superman we're talking about. You have our full support! Sorry. I don't understand how you equate Man of Steel 2 production and release being pushed, to Man from UNCLE being pushed. Two entirely different movies, at different stages of production. Completely agree, but while 'Man of Steel 2' was supposed to wrap production in late August, it will now clearly run longer, depending on when they start now. 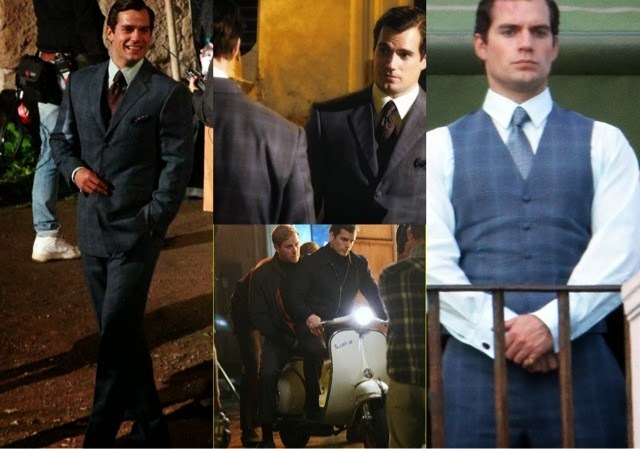 To us, that means there is a chance production could run through the end of the year which would mean Henry would be busy filming and not available to promote The Man from U.N.C.L.E. Of course we hope it comes out this year, it's just a possibility. They're both Warner Bros productions - believe me, if they want Henry out promoting Man from UNCLE, he'll be out promoting Man from UNCLE, Man of Steel shoot regardless. Also, even if he couldn't promote it (highly unlikely given that WB will want to give it as big a push as possible for Sherlock-type box office AND prove that their Superman can 'bring it' in other movies) that doesn't mean the movie's release gets delayed. Considering that we don't even have a release date for #UNCLE or a clear timeline for the end of production on MoS2 we're just splitting hairs here. Let's just wait and see what happens. Thanks for the feedback. By the way, we've clarified our wording on the post. Thanks again! He should definitely try to squeeze in at least one more movie till the release of MOS2. If he cannot because of competing movie schedules, he should try theater instead. A long gap without work between movies would definitely not be good for his acting skills. "If you don't use it, you lose it" or so the saying goes. He already had this unfortunate situation of a very long gap without work (1.5 years) between MOS and MFU (apparently because the Great Wall got cancelled, but who knows).